Eytan Stanton ’19, creator of DANA CRUMB tag and brand. You might have seen the cartoon caricatures and scrawlings of DANA CRUMB on t-shirts, sweaters and stickers throughout the school. With a unique font and style, the eye-catching tag has now evolved into a small, Bronx-based, clothing brand. 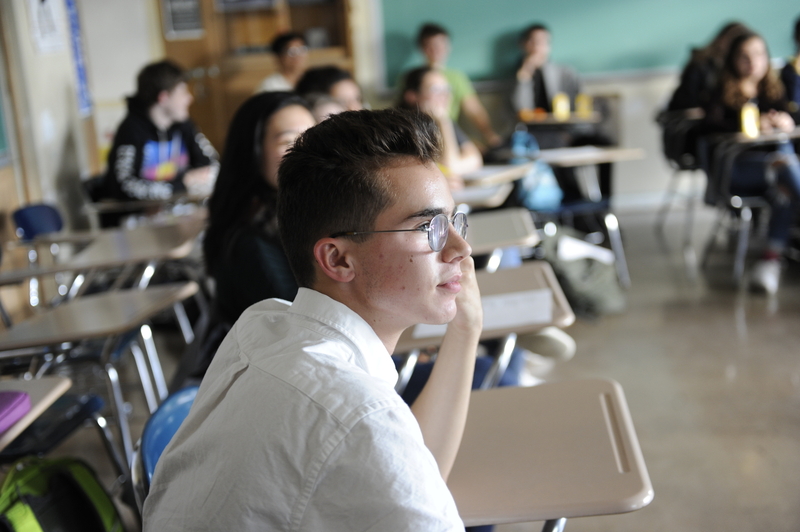 The creator of the brand and tag, Eytan Stanton ’19, found his passion for art, as well as his inspiration for the tag, in middle school, where he was able to experiment with different mediums and styles of art. “In eighth grade, I attended my school’s after school art club. Mr. Enright was the club facilitator. One afternoon, while we were sketching together, his phone rang. He received a call from someone named ‘Dana Crumb.’ For some reason, the name resonated with me. I took a fresh Sharpie and, using all caps, I tagged the name ‘DANA CRUMB’ around the classroom on posters. The style of writing came out naturally, and it stuck,” said Stanton. 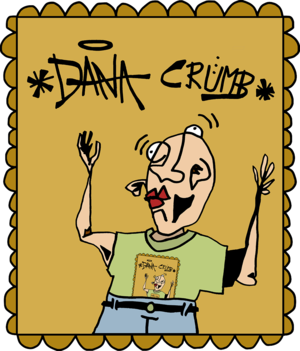 DANA CRUMB’s unique font and art can be found on stickers, T-shirts, sweaters and tags throughout the city. Stanton takes a lot of inspiration from graffiti and street art, utilizing bright, vibrant colors to make the brand stand out. “Graffiti is similar to t-shirt graphics in that both allow art to be displayed on a real-life public platform. At the same time my interest in street art began, I began printing my art on t-shirts with linoleum stamps and fabric ink. It’s not like I woke up one day and decide to make a clothing brand. Rather, I slowly began experimenting more with printmaking on fabrics,” said Stanton. Another source of inspiration for Stanton and DANA CRUMB is the Kingsbridge section of the Bronx, where Stanton grew up. DANA CRUMB was not only born in the Bronx, but it also supports local Bronx businesses as it grows into one itself. Stanton hopes to expand DANA CRUMB during his last months of high school and continue into college. Jonah Massey ’20 (left) sporting DANA CRUMB, and Jackson Trauben ’20 (right). Although Stanton will be graduating this year in June 2019, his legacy will live on through the stickers, sweaters and shirts throughout school, as well as his customers and the entire neighborhood of Kingsbridge.